We proceeded to discuss why so many people were depressed. I proposed that a major contributing factor is that we have lost any sense of rhythm to life. God designed creation with natural rhythms of producing and rest. Plants have seasonal patterns. Spring and summer are times of abundant growth. Fall is a time of bearing fruit and winter is a time of rest and inner strengthening. Animals have predictable patterns of sleeping, resting, hunting, and eating. Nesting, explosive growth, gathering, mating, pollinating, producing fruit, hibernating, and lying dormant all occur in predictable patterns. Defiance of these patterns often results in death. Humans…well? Go, go, go and go some more is not a natural rhythm, but it is the pace we have conditioned and enabled ourselves to observe sometimes with devastating consequencies: burn out, illness, depression, addiction, disease, failed marriages, disenfranchised children, lack of meaning and enjoyment, fatigue and/or death, just to mention a few. Somewhere along the way we have lost a sense of healthy natural rhythm. Perhaps, a growing gap in our connection with the land has precipitated this loss. Or perhaps, somewhere in our arrogance we have begun to see creation as something we are separate from. In our minds, there is humankind and creation. Rather than human kind as part of creation. We have forgotten that we were created. We are one element of nature. What makes us think that we are so separate from the inescapable realities of day and night, seasons, aging and death that we can ignore or resist these pieces of rhythm without consequence? So how do we get back on track? 8 Remember the sabbath day, and keep it holy. 9 Six days you shall labor and do all your work. 10 But the seventh day is a sabbath to the Lord your God; you shall not do any work—you, your son or your daughter, your male or female slave, your livestock, or the alien resident in your towns. 11 For in six days the Lord made heaven and earth, the sea, and all that is in them, but rested the seventh day; therefore the Lord blessed the sabbath day and consecrated it. Exodus 20: 2-8. In fact, this commandment is the longest of all of the commandments and represents nearly one-third of the text in the ten commandments. I won’t list all of the verse, but again and again God reiterated to his people the need to uphold a sabbath and was sorely displeased to say the least when they rejected this commandment. Biblically, the sabbath was originally observed by the Jews from Friday evening to Saturday evening. Overtime, the sabbath for Christians has become a Sunday celebration in honor of Christ resurrection and is sometimes referred to as The Lord’s Day or Resurrection Day. The sabbath was commanded to be a day of rest, and it was to be kept holy. While some may debate the day of week, I am not sure anyone would dispute that we are to rest and keep whatever day it is we observe as a time of rest and holiness. Regarding which day, I have personally found it very difficult to regard Sunday as a day of rest. We are on duty and attending often times not just morning worship, but leading classes, youth events, and/or needing to visit people. Monday has actually been most effective for me personally in terms of sabbath, but less than ideal in terms of keeping it holy. I’ll address that later part of that statement below when we get to talking about holiness. Old Testament judaism was extremely legalistic about measuring rest. Great effort was made to define what was and wasn’t work. How much could one carry on the Sabbath? How far could someone travel? What could someone due in terms of tending their farm or livestock? I’m not sure that blind legalisms honors the Lord so I am not going to parse out what is and isn’t rest. The way into Christian Sabbath observance isn’t so much about rules as orientation: away from the busyness of the week and towards the Creator who rested. In this we may find a true sense of Shabbat shalom, Sabbath peace. The intent of resting is to restore and renew ourselves for service of the Lord. Resting doesn’t necessarily convert into napping, although that might be appropriate if you are utterly exhausted. Resting isn’t just refraining from activity, but let’s start with this. What is work to you? Refrain from those activities when you sabbath. Not just your professional work, but if you are observing Sunday as a sabbath time are you also seeing it as a catch-up day. In other words, do you view it as a time to catch-up on laundry, shopping, repairs around your home, etc. If you do, then you probably need a mindset shift and consider knocking out those tasks on the day prior or at another time. This preparation will free you up to truly rest. Actually, that’s been one of the biggest learnings for me — Faithfully holding a sabbath, often requires preparation. While at first preparation may feel like an imposition, you will rapidly appreciate the value of preparation when you truly bathe in a period for genuine rest. I mentioned rest isn’t just inactivity. Restorative activities like spending time with your family on a leisurely walk or reading an uplifting book certainly could be consider restful and restorative. The Hebrew word we translate as “holy” means, “set apart or separate from”. Specifically, if you explore the use of the word holy in context it nearly always means not just set apart but set apart for a Godly purpose. The temple and tabernacle were holy. They were spaces set apart from all other space specifically for the worship of God. Piper, when discussing sports, noted that culturally we have five days of work and two days of rest. So, how is Sunday (or the day you choose to sabbath) different from Saturday? In other words, what do you do to make it holy? As mentioned earlier, I struggled to experience Sundays as a sabbath because of the demands of ministry. Consequently, when I observed Monday as a sabbath time to help make it a holy time I had a routine of connecting with and honoring God on Monday’s, even though doing so corporately that wasn’t possible. Nearly every Monday, I had a special place in the woods I would go to rest, meditate and pray. Spending two or three hours doing so wasn’t unusual. That said, this type of private devotional time is no substitution for corporate worship. It was a way to bring holiness to my subjective sabbath, WHILE not neglecting corporate worship at another time. There are numerous biblical references uplifting the expectations that we are to gather together to proclaim God’s praise. Don’t consider private devotions as substitutionary activity. 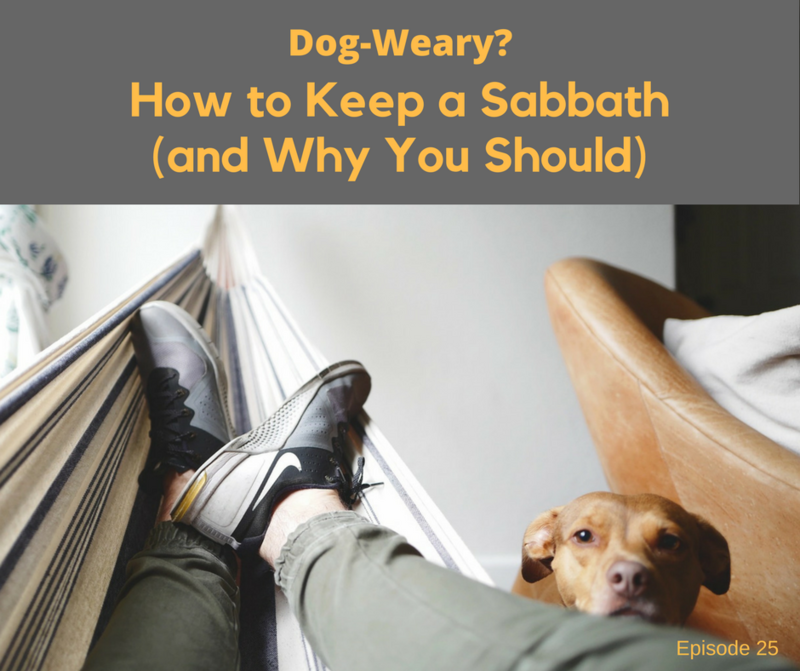 What boundaries can you create around a sabbath day to set it apart from all other days in a way that honors God? 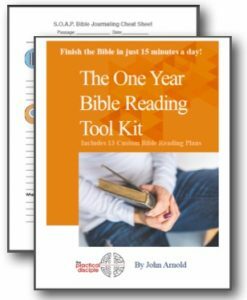 I listened to one pastor who reads a passage early in the day and reflects on it throughout his sabbath time. Do you need to unplug from social media or technology in order to set the day apart? How can your sabbath day be a gift to God that honors God? These are good things to ponder in considering the holiness of sabbath. To help you further clarify and establish a sabbath I have put together a Sabbath Questionnaire and Planning Worksheet. Click the button below to download your free copy. Listening on the back porch. Can I cook on the Sabbat?